A fine example on loops of this rare pattern. Named after William Rutlish, embroiderer to King Charles II. Recognised 121.3.21 and affiliated to 5th Bn. 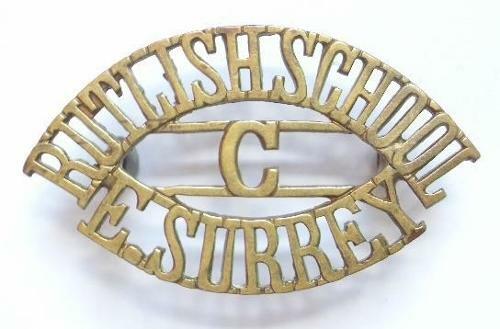 East Surrey Regiment.